Nearly 1,500 runners finished Sunday’s race. in second with a time of 1:20:05. 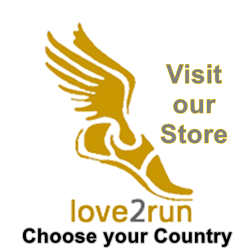 The top female finisher, traveling all the way from the United Kingdom, was Sarah Louise Cumber with a time of 1:26:48. 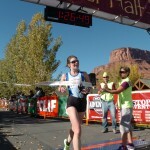 Second place female finisher Marissa Floodman of Salt Lake City finished with a time of 1:32:02. Race temperatures started in the low 40s and rose to the low 70s, in time to warm race participants and spectators. Despite the wind, 1,459 runners officially finished the 13.1- mile race. At the finish, runners relaxed in the grass at Sorrel River Ranch & Resort while listening to live music by Albuquerque band Squash Blossom Boys. Post-race beverages were provided by sponsors Gatorade and Moab Brewery, and yummy snacks were enjoyed to refuel the participants. Runners also enjoyed a post-race awards ceremony and raffle. First-time half-marathoner 13-year-old Josh Martinez of Castle Rock said, “It was really fun. The wind was hard on the hills, but I’m ready to do another half.” After the race, Kenyon said, “It was the most beautiful and scenic half marathon I have run. The first 8 miles seemed really fast, especially if there wasn’t wind. It’s a great half marathon to extend into a camping trip and to visit Canyonlands.” His future goals are to prepare for cross county competitions and break a 4-minute mile in indoor track. He will also be competing in some 5ks and steeplechase. Other race sponsors include Moab Adventure Center, Sore No More, Clif Bar, Eastern Utah Community Credit Union, Great Harvest Bread Company, Moab Valley Inn and Sorrel River Ranch. Bieschke and staff are looking forward to the Moab Half Marathon’s fourth and final race of the year, the Winter Sun 10K, on Dec.1. The race starts at the Moab Golf Course and ends at Grand County High School. It is downhill nearly the entire way. 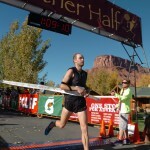 Register online at www.moabhalfmarathon.com. For more information or to arrange an interview with Race Director Ranna Bieschke, please contact Veronica Harvey at 402-321-6973 or vdaehn1@gmail.com.